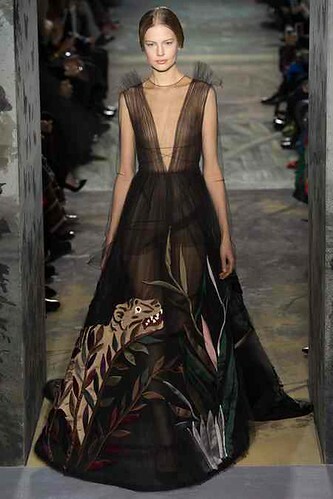 The spring 2014 couture shows just ended. A myriad of dresses and suits having required hundreds and thousands of hours of work have been showcased during three days. Here is what impressed me the most. Chanel. Everyone remembers Mademoiselle who removed the corset from the women dressings a ceintury ago, and today the naughty Karl finds a cheeky way to put it on the center of the silhouette and to hang a skirt and a jacket on it. With embroidered lamé trainers, the result is fresh, light and provocative for the great tradition of haute couture. I like it a lot. Dior. 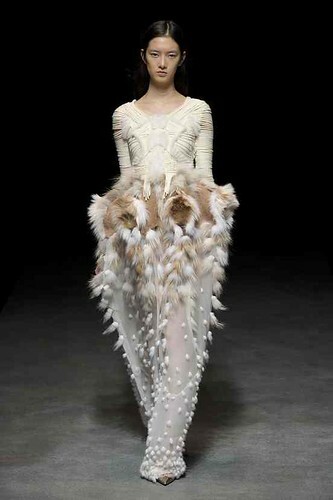 I admit being nostalgic about fairy shows that John Galliano used to give. Raf Simons completely changes the tone of the house. With his sleek and yet sophisticated style, he sends us in the future. With cutted sheer-silk and easy lines, his collection is a fine example of modernism. As for Galliano, we will see him again at Oscar de la Renta very soon. Elie Saab does not take a lot of risks with this collection and simply dazzles us with his classic shades of red carpet gowns. I particularly like the dresses in black and white degradé. Stephane Rolland. The rigid-fluid contrast and bold colors on a minimalist base brought his collection among my favorites. Valentino. 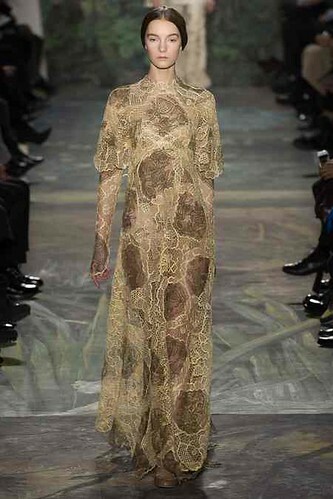 I could choose all the dresses but I finally went for the gold-thread-lace and the embroidered-tiger-on-tulle ones. Yiqing Yin. 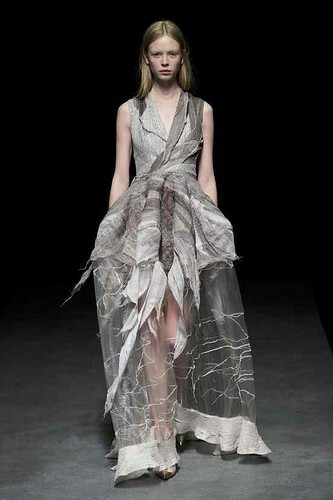 The young French Chinese designer has marked the week by the complexity of her cuts and the bleached effect of her gowns. Movies stars and happy few clients of haute couture just have to make their choices now. This entry was posted in Moods and tagged couture, runways. I swear I will never get tired of Chanel. Ever.